Let’s hope this doesn’t get around too much. Twitch is streaming all the conferences. I will spare you all the technological jargon, because frankly I don’t remember everything as far as the HLS or some whateverthefrak details, but Twitch will either be: approximately 15-30 seconds faster than anyone else’s stream OR be streaming the conference at 60 frames. Or both. I can’t confirm both but it’s either or. Why am I telling you this? Well, my dear sirs, some of us are elitist shits who like watching their streams in optimal quality. Some of us like pretty pixels dancing on our screen faster than the speed of 30 frames. And some of us like it fast. I think that’s plenty reason for me to share. So go, have fun. It’s E3 after all. 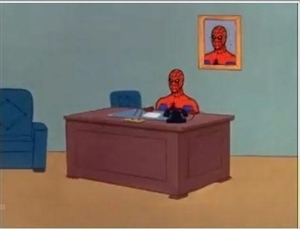 I’ll be sitting here, waiting for you to repost GIFs about each conference. Or, well.